The Mind Blender...Sure to give you more than just whirled peas. This is just a little contraption I came up with to try and jolt the old creative juices. One word of caution. Don’t try to blend all of these at one time unless you really want to end up like Christopher Walken. Oh. And One more thing. Make sure the lid is on. Don’t say I didn’t warn you. Here’s a great list of tips and techniques about the creative process from jpb.com along with a bunch of other resources on creativity and digging for ideas. Some really good stuff worth taking a look at. Welcome to the first ever Creator’s Incubator. Since it’s the inaugural edition, I thought it would be appropriate to give you a few behind the scenes stuff about my creative process. Individual cartoons have their own set of sparks, so I thought I’d give you some of the everyday variety. 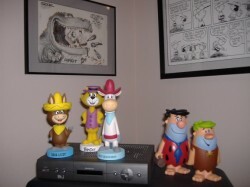 I like to surround myself with cartoon collectibles and cartoon art in the studio. It makes me feel at home.Here’s just a few samples from my home studio. 1. Reading. Newspapers, magazines, websites, billboards, t-shirts, movie posters, anything visual It’s the most important part of creating sports cartoons. After I read I let it soak in for a while. 2. Silence is golden for thinking up ideas. I can listen to music or CNN after I pencil the cartoon and I’m ready to ink, but not before. 3. Word play. I write down topics and free associate a visual metaphor for what it is I want to say in the cartoon. In my case it’s usually an opinion I have about a topic I’m drawing on. 4. Ink don’t think. The worst thing to do is force an idea. Ideas form when you’re most relaxed, even if you are under deadline. If I get really stuck I’ll put the subject I’m drawing about in the most outrageous situation I can imagine. Case in point. This Phelps cartoon. 5. Bang my head up against the wall and hope that something besides hair comes out. Creativational Quote of the day: An essential aspect of creativity is not being afraid to fail. 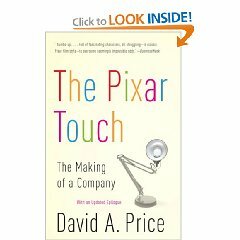 The Rhino Recommends: This fantastic book about the founding of Pixar and the innovation and creativity it took to pull it all together. Welcome to my Laboratory, “The Creator’s Incubator”. The single most asked question I get as a cartoonist is “Where do you get your ideas”? Aside from the answer “ I drink a lot and sleep late” once given in jest by cartoonist Gahan Wilson, I’ve always stumbled my way through it. I’ve long been intrigued by the creative process and have often wanted to find a way to answer that elusive “ideas” question. So I decided why not feature daily insights, tips, and suggestions about this thing called creativity and how we can all apply it to our daily lives. Why not go “inside-the-lab” with stories about other creators and how they hatch their amazing works of art. 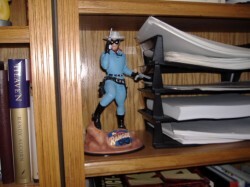 We’ll delve into it all, including music, writing, character development, movie and TV show development, cartoons, comics, comedy and just about anything else that can be created. We’ll make it interactive, so that you too can share your own creative thoughts and insights. Think of it as one big Creative Community. A Creators Incubator. That said, it’s time for the grand tour. Sparks: Those things that inspire creativity. For instance, one of the most fascinating stories about the creation process of the Beatles infamous Sgt. Peppers Lonely Hearts Club album revolved around the John Lennon song, “For the Benefit of Mr. Kite”. The songs lyrics came directly from a circus poster Lennon had found in an antiques store. That’s a spark. Creative tips: Like this one… Ever read billboards? Sometimes they can provide great ways to create powerful, well defined ways to communicate ideas. The key is in the simplicity and in the way one grabs your attention. Just don’t drive off the road doing it. The Rhino Recommends: Once a week the Incubator will give it’s recommendation of a book, a movie, cd or blog that can offer something valuable to the creative process. Not exactly Oprah, but you get the idea. Inside-the-Lab. We’ll go behind the scenes into someone’s creative process giving you some cool information about how other creative people come up with their stuff and how you might use it at work or in your daily lives.be sure to read my daily cartoons as well. On June 29, 1964 the 1st draft of Star Trek’s pilot “Cage” was released. Readers comments, tips and insights. The interactive part of the Incubator. Ask the Rhino. Send in your questions about creativity directly to the Rhino. He’ll answer one good one a week. There you have it. I hope you’ll join us here for the Creator’s Incubator starting July 1.